We've created the Menopause blog in an effort to help share relevant health related topics for perimenopauseal and menopausal women. Click here to join the conversation. 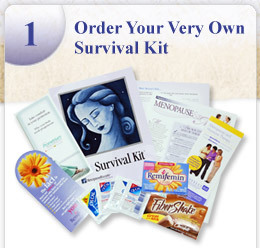 Learning to Control Your Menopause and Perimenopause Symptoms. You're familiar with menopause symptoms... the hot flashes, night sweats and sleeplessness, diminished libido, mood swings, skin and hair problems. Finding a treatment that's right for your unique set of menopause symptoms has always been tricky. More than ever, getting straight answers to your menopause questions is vitally important to your health, comfort, and peace of mind. Take our Menopause Self-Assessment Quiz. 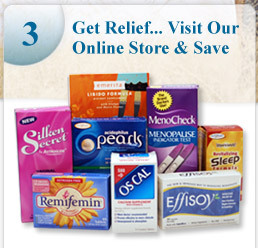 Understand menopause symptoms. Explore treatment options. 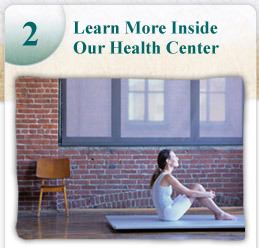 Evaluate your health concerns. Purchase special formulas for menopause and perimenopause. Herbal remedies and natural supplements. Herbs for hot flashes. Vitamins and minerals. Menopause testing and bladder therapies. Congratulations to Kelly Bell, winner of the most recent MenopauseRx promotion!!! 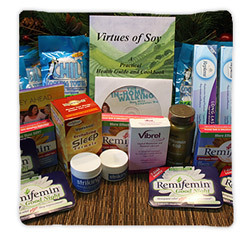 The MenopauseRx Basket contained: Replens Long-Lasting Feminine Moisturizer, Vibrel Vaginal Moisturizer, GNC Vitamin E, 400 IU, Softgel Capsules, Striking Complexion Kit, CHILL Cooling Towels, Fatigued to Fantastic!Â® Revitalizing Sleep Formula, Remifemin and Remifemin Goodnight, and much much more! Entries to this promotion have been closed... but you may still become a fan of MenopauseRx today to keep an eye out for our upcoming promotions!